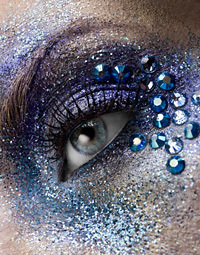 Make Up Atelier is a trading name of Make Up Atelier Makeup School. Make Up Atelier supplies customers in the United Kingdom of Great Britain and Northern Ireland. Our postal address is at 40 Mill Road, London, E16 2BE. This is data relating companies and other businesses who are our customers, which is data not constituting personal data under the Data Protection Act 1998. This is telephone, fax and e-mail addresses of individual or corporate subscribers for the purposes of the Privacy and Electronic Communications (EC Directive) Regulations 2003. If you have any questions about any data we may hold about you please contact us using our postal address or using any of the contact methods listed on our web site. We obtain data when you enroll on to a course from our web site. We also obtain data if you register an e-mail address with us to receive offers and newsletters from us. We also generate and hold data specific to your orders, including products ordered, payments made and order tracking information. This includes your organisation, company, partnership, sole trader or other business or organisational name, postal, invoicing, and delivery addresses, telephone, mobile, and fax numbers, and e-mail addresses, including details of individuals who are contacts for your business or organisation. This comprises your credit or debit card information and payment history and any credit check information. Note that we only retain your card information for a limited period of time, to process the specific order in which you provided that information, unless you ask us to keep these details on record for future transactions, through your account. We generate and hold information specific to your orders with us, including a record of your orders, payments made, order tracking, fulfillment and delivery. We may record your usage of our web site and the products you browse and purchase history. This helps us to provide you with a more personalised service which is tailored to suit your needs. We hold on record information relating to any communications and dealings we have with you, including enquires and complaints, and credit checks. Generally, your data allows us to provide you with personalised services and correspond with you separately. We also use it to support and manage your customer relationship with Make Up Atelier, including to maintain your account, inform you of changes and general news in relation to Make Up Atelier, and to deal with your enquiries and complaints. We use your data for the purposes of performing, administering and managing your orders and their subsequent fulfilment. We use your data along with other data we hold, to carry out general (anonymous) assessment, analysis and research in relation to our business, products, services and customers, including to assist in the provision of services and products to you, and to facilitate reviews, developments and improvements to the services and products offered to you. In relation to personal data we do not transfer this to third parties without your consent, except as provided in Clause 10. In relation to corporate data we may sell or otherwise supply this to other companies and to third parties. 10. WHO DO WE DISCLOSE YOUR DATA TO? In order to perform your orders, collect payment, and provide you with a service we may disclose your data to third parties (such as credit and debit card processing companies, credit reference agencies, outside suppliers, distributors and delivery companies) for such purposes. We share user experience information or other customer level data with companies within our group as well as our trusted third parties, agents and business partners for the purpose of accomplishing our objectives of customer personalisation and improvement of site design and user experience. These third parties will only use your data for those purposes and will only have access to the data needed to perform the relevant service they are providing. To help us decide whether to accept orders from you or (where applicable) allow you payment credit terms, you acknowledge that we may undertake whatever searches and enquiries and obtain whatever references or other information we consider necessary, including carrying out searches with credit reference agencies. You can contact us for details of the credit reference agencies used by us. Credit reference agencies may add to their records details of our search which will then be seen by other organisations making searches, and may be linked to records of others associated with you, including any person with whom you are linked financially and members of your household. We may use a credit scoring or other automated decision making system. We may use and disclose to third parties any information we hold about you and your payment record for the purposes of administration and enforcement of this agreement and for other related purposes. We may also supply your information to relevant authorities and other third parties where legally required or reasonably required in connection with any legal process or any legal obligations binding on us. We are firmly committed to data security and we take steps to guard against unauthorised access to all customer data. We protect the privacy of your information using highly secure, password-protected servers. Please see our Security Policy for further information about the online and offline security measures we adopt to protect your information against unauthorised or unlawful processing of data and against accidental loss or destruction of or damage to data. We endeavour to keep your data accurate and up to date. If you have registered an account with our web site, you can check the information we store for your account by visiting our website and logging-in. Then access the “Update Account” link at the top of the page to display your account information. You can amend any inaccuracies through this facility. Alternatively, you can contact us by post or using any method set out on our site requesting that we update, modify or delete your account information. These are used while you are logged on to our web sites to record temporary data relating to your visit to our web site, to manage the delivery of web pages to you and any registration and ordering processes, and to help us monitor traffic through the web site. This stores some personal information between visits to our site in order to allow you to log on automatically. This stores historic data about your visits to our web sites and allows us to personalise your experience, provide features such as special offers, and allows you to store items in your shopping basket between visits. permit you to turn them off. Should you do this, you will still be able to access our website as normal, but some processes that depend on cookies may not work properly. If we are sending you marketing messages, the Data Protection Act gives you a right to ask us to stop doing this. We will provide you with details of how to do this, each time we send you a marketing message. Alternatively, please contact us using our contact details in this policy or on our web site. A Student is accepted for enrolment at MAKE UP ATELIER upon the receipt of a full deposit. Deposits are non-refundable but can be transferable to the very next course. The balance of the full course fee should be paid no less than 7 days prior to the commencement date. All fees must be received by the school without deduction, therefore any overseas/UK bank charges should be researched and paid with the transfer ensuring the full payment is received. Students will not be accepted on the commencement date unless full payment of fees is made. No responsibility is taken for students applying and failing to get financial assistance from any aiding company or organisation where partial payments of the full fee including and exceeding a deposit has been received by us. The full fee must still be received by us. Any withdraw will forfeit your deposit. In the event of a student failing to attend the confirmed course or failing to complete the course for any reason, no refunds will be made. A student may not be entitled to a refund if they decide not to finish the course after the final payment has been received. Fees are not refundable if the course is interrupted or cancelled through an act of God or terrorist act. The school has the right to amend and change the schedule of the course and course dates and notify the students at the earliest opportunity. The student will be required to attend from the first day, and every day of the course unless prior notification is given for holidays or other such reasons. Due to bad weather, transportation issues or any issue deemed to be detrimental to the safe journey of any or all of the attendees of the class, the class will be cancelled and students notified as soon as possible. That day will be added onto the course at the earliest opportunity. It is advised therefore that any overseas returning students have an open ticket or book their return home for a week after the course is due to end. 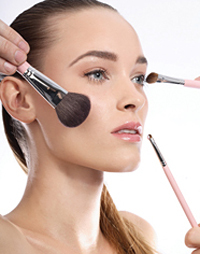 MAKE UP ATELIER will endeavour to assist the student to catch up on unattended lessons but will not be held responsible if they are not fully repeated. Occasionally extra one to one sessions could be arranged after payment of the relevant fees for such one to one sessions. Lessons will be taught within the stated times but may naturally finish early or over run. If a student has satisfactorily completed the day’s assignment, they may be allowed to leave class early or may stay behind to recap on previously learnt material at their discretion. The School will be closed on all UK public Bank Holidays. It is regretted that due to the possibility of copyright infringement the use of Video camera and audio recording equipment is not permitted. Changes to course structure may be altered at our discretion without prior notice. Students will need to practice upon one another for the make up segment of the course. The name MAKE UP ATELIER may not be used in any form of advertising whatsoever, including advertorial unless with written permission. MAKE UP ATELIER may use from time to time Video camera and audio recording equipment and pictures, for promotional and training purposes and all students agree by enrolling on to the course that their work and faces may be used in such promotional material for the schools benefit with no compensation for the students concerned. All students who graduate from MAKE UP ATELIER agree that there future work may be added to our schools alumni page and marketing leaflets and brochures and catalogues for the schools marketing purposes. 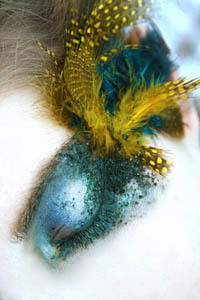 MAKE UP ATELIER will provide such a student a link from our website to the students website in return. The student must attend at least 90% of the course to qualify for their Completion certificate. Reasons through no fault of the students own will be fully considered. A student may be immediately removed from the course and no refund for any sessions outstanding will be given if the student disrupts or causes offence to the tutor or other students for any reason whatsoever. MAKE UP ATELIER accepts no responsibility for damage or injury to students and their belongings due to lack of care and consideration in using MAKE UP ATELIER equipment whilst on the course.